Bio: Dr. Irwin Goldman is currently Professor and Chair of the Department of Horticulture at the University of Wisconsin-Madison. His primary responsibilities are vegetable crop breeding and genetics and instruction in plant breeding, vegetable crops, and evolutionary biology. Dr. Goldman received his B.S. from the University of Illinois, M.S. from North Carolina State University, and Ph.D. from University of Wisconsin. He also completed postdoctoral work at the University of Illinois. Dr. Goldman has been a faculty member at Wisconsin since 1992 and has served in a variety of administrative roles including Associate Dean for Research, Vice Dean, and Interim Dean. Abstract: Crops have been important to humankind for purposes other than simply sustaining life through calories and nutrients. In some cases, medicinal uses may have preceded their use as food crops. During the 20th century, and for good reasons, people moved away from food-based remedies and toward synthetic medicine. Synthetic monomolecular drugs became synonymous with modern medicine in many parts of the developed world. However, the departure from plant-based remedies was accompanied by a loss of knowledge about their uses and efficacy. Onion, garlic, and other edible members of the genus Allium are excellent examples of this historical fact, because they have been used to flavor food, as vegetables themselves, and as medicinal plants since their domestication more than 5000 years ago, yet today appear as quaint, old-fashioned remedies to modern medical conditions. What does modern medical science have to say about the health-related compounds found in these vegetables, and what sorts of opportunities exist to use these plants to improve human health? A range of studies, beginning in the early 1990s, were performed in Wisconsin to assess the health-related possibilities of onion and garlic. While marketers have promoted the health value-added characteristics of these vegetables in various ways, horticultural practices and crop breeding activities have modified and, in some cases, obscured the potential value of these crops. This presentation will trace health-related characteristics in these crops from folkloric remedies to modern breeding approaches and assess the complex intersection between crops, health functionality, and plant breeding. Bio: Dr. Kevin Murphy received his BS in Biology from Colorado College, after which he spent seven years working on a wide range of vegetable, fruit tree, and livestock-integrated farms in Arkansas, Michigan and Washington. While managing a diversified farm on the Olympic Peninsula, Kevin and his crew grew over 500 varieties of 60 different crops, including many of these for seed. Motivated by these experiences, and a desire to develop resilient varieties of under-utilized, flavorful and nutritious crops, Kevin received his M.S. in 2004 and Ph.D. in 2007 from Washington State University in organic and perennial wheat breeding. He is now an Assistant Professor of Barley and Alternative Crop Breeding in the Department of Crop and Soil Sciences at WSU. Kevin and his team of students and researchers work on breeding and agronomy of amaranth, barley, buckwheat, ocra, perennial wheat, proso millet, quinoa, spelt, and teff. He has participated in international research and extension projects in Syria, Iraq, Pakistan and Malawi, is currently coordinating an international quinoa breeding project in ten countries in collaboration with the FAO. Abstract: Wheat is the dominant, keystone crop in the dryland farming rotations of the Pacific Northwest, grown on several million acres in the region each year. Although considerable time and effort is devoted to breeding wheat varieties of a very high quality, selection for nutritional and/or health related traits has yet to become a priority. In the Sustainable Seed Systems Lab at Washington State University, our goal is to work with a diversity of under-utilized and regionally novel crops to develop new varieties with improved health and nutritional value. Rather than working toward the creation of a single 'super crop' with superior agronomic performance and a suite of nutritional benefits, we focus on developing dual-purpose crop varieties of multiple species that increase farmer's options for rotational diversity and enhance regional consumer's options for dietary diversity. In this presentation I will discuss our research related to breeding 'healthier food for a healthier world'. As this symposium is organized by graduate students, many of whom will be working as plant breeders in the near future, I will talk about some of the challenges and opportunities in initiating functional new breeding programs 'from scratch'. 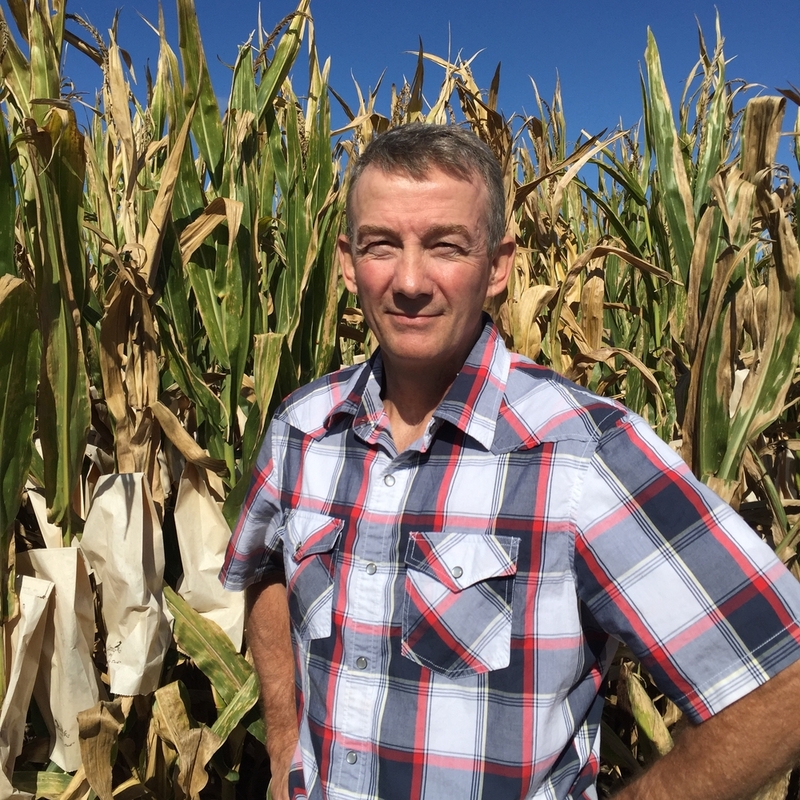 Bio: Kevin Pixley has a BSc in agronomy from Purdue, an MSc in crop physiology from the University of Florida, and a PhD in plant breeding from Iowa State University (1990). Immediately after he began working at CIMMYT as a postdoctoral fellow and later worked as a maize breeder, moving to the center's Harare, Zimbabwe, research station in 1993 and serving as team leader there as of 1997. After 11 years in Africa, he returned to CIMMYT headquarters in Mexico to serve in directing positions in the Global Maize Program. He currently is director of CIMMYT’s Genetic Resources Program and leads the Seeds of Discovery project, which is developing an open-access platform of genomic and phenotypic databases along with informatics tools to facilitate the use of maize and wheat biodiversity in applied research and breeding programs. His accomplishments include the development of disease resistant and nutritionally enhanced maize varieties. Abstract: Agricultural science is increasingly crucial to humanity as population grows, climate changes and available natural resources decline, while concurrently society proposes to sustainably end hunger, end poverty and ensure healthy lives for all. There is a virtuous circle among better nutrition, healthier lives and increased incomes, and while interventions achieving any of these three can be effective, perhaps the most sustainably achievable for the poorest segment of society is to improve their nutrition. Nutrition, of course, starts with the food that we eat; and most of the food that we eat results from plant breeders’ efforts as subsequently modified by food processors, retailers and preparers. Biofortification is a plant breeding strategy that can favorably impact on the nutrition, health and wealth of poor consumers who rely heavily on staple foods for their diet. Some of the achievements of the HarvestPlus maize biofortification project will be described, highlighting the importance of scientific innovations. Finally, a challenge will be offered to young scientists and their educators: the challenge of becoming effective proponents, managers and participants in productive dialogue with the public(s) about science and the role of science in achieving the goals of society. 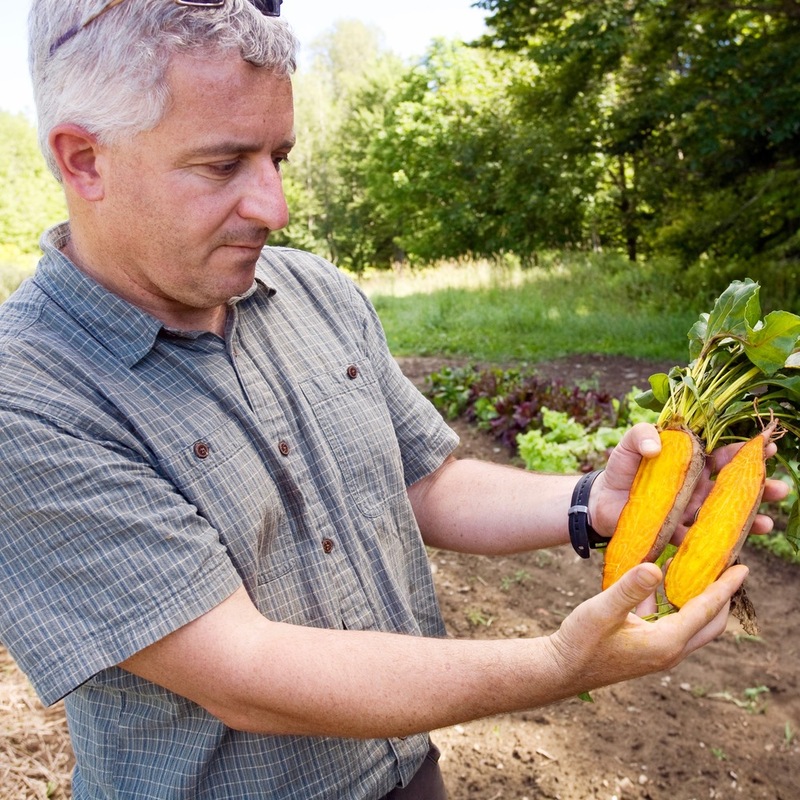 Bio: Dr. Crosby’s area of research is plant breeding and genetics of melon, pepper, tomato, onion and carrot. The main emphasis of his research has been the elucidation of genetic mechanisms for stress tolerance and enhanced nutritional quality. Dr. Crosby has discovered several novel traits and studied their inheritance in both melon and pepper. These range from root physiology and vigor to virus and insect resistance. His program also has developed a genetic linkage map of melon with DNA markers linked to several key traits. The development of thousands of novel families for genetic studies has also produced elite breeding lines for commercial seed companies and 9 cultivar releases. In addition, Dr. Crosby has developed unique, high antioxidant pepper lines with flavonoid and ascorbic acid levels more than 400% higher than commercial cultivars. Dr. Cosby received his B.S. in Horticulture from Texas A&M, his M.S. in Horticulture/Plant Breeding from the University of Hawaii, and his Ph.D. in Plant Breeding at Texas A&M. Abstract: At the Vegetable and Fruit Improvement Center of Texas A&M University, breeding vegetables with enhanced levels of beneficial phytochemicals has been a research priority for over 25 years. Peppers, tomatoes, carrots and melons with genetically enhanced concentrations of antioxidant compounds, diverse colors and desirable flavors have been developed. These include ‘Beta Sweet’ maroon carrot with elevated levels of beta-carotene and anthocyanins, ‘TAM Hot-Ty’ tomato with increased lycopene, ‘TAM Pacal’ casaba melon with increased beta-carotene and super oxide dismutase, and ‘TAM Mild Habanero’ with increased beta-carotene. In addition, new cantaloupe and pepper lines with increased ascorbic acid are close to commercial release. Unique germplasm lines with extremely high flavonoid levels have been identified and utilized in the pepper breeding program to create new jalapeño and bell varieties with high levels of quercetin, a unique trait among current commercial varieties. In addition, a wild pepper has been identified as a good source of luteolin, implicated in reducing breast cancer risks. 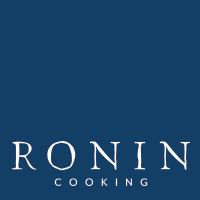 New families developed from this wild type already show promise for both luteolin concentrations and fruit quality. Investigations into the inheritance of high flavonoid levels have been carried out and select families have been screened for molecular markers linked to major QTL. In addition, RAPD markers have been identified which are linked to QTL affecting ascorbic acid and sugar concentrations in two melon families. These markers have been utilized to screen individual progeny from other families in a marker-assisted selection program to enhance fruit quality. Investigations have also been carried out at multiple locations in Texas to estimate environmental impact on the phenotypic variation for flavonoid and carotenoid levels. It was evident that concentrations of carotenoids and flavonoids are sensitive to environmental variation, making breeding for elevated levels more difficult. Variety development for specific environments may therefore be necessary to optimize phytochemical levels and subsequent human health benefits. Bio: Jim Gaffney started with DuPont Pioneer in fall 2010 and in his role, works on advancing agronomic traits, including those that help crops better use water and nitrogen. 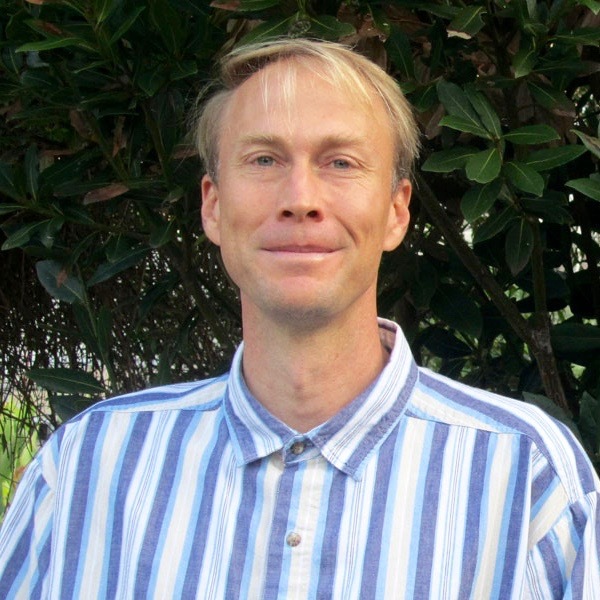 Gaffney earned his bachelor’s degree from the University of Minnesota, master’s from South Dakota State University and Ph.D. form the University of Florida. He’s particularly passionate about improving African agriculture – an interest that dates back to his time as a Peace Corps volunteer in Cameroon, Central Africa, where he worked at an agricultural technical school. As a former farm kid, Gaffney stays connected to his roots as regulatory product strategy lead at DuPont Pioneer. His family raised corn, soybeans and hogs on their farm in southwest Minnesota and he stays involved with succession planning to help ensure the farm stays in the family. Abstract: Sorghum is native to Africa and especially suited to challenging environmental conditions so will remain an important crop for African food security. Sorghum is an affordable staple for more than 300 million people in Africa, many who reside in the drier, more vulnerable agricultural areas. Yet sorghum yield has stagnated at around 1 T/ha throughout most of Africa while land area devoted to sorghum has approximately doubled, demonstrating the need and challenges of meeting demand with a low yielding crop. Much of Africa is also facing health and nutrition issues. As of 2013, there were more stunted children in Africa than in the early 1990s often due to micronutrient deficiencies, and Vitamin A, iron and zinc deficiencies are often cited as the greatest public health concerns globally. Micronutrient deficiencies during the first 1,000 days - from conception to two years of age – often result in a lifetime of negative consequences for normal growth, ability to learn, and overall socioeconomic status. DuPont Pioneer is currently developing technology and working with other organizations to improve sorghum productivity, improve the nutritional content of sorghum, and to ensure that smallholder farmers have greater access to improved products, knowledge, and markets. The greatest progress has been an increase in pro-vitamin A content and stability in the grain, and improved content and availability of iron and zinc. Numerous technical, regulatory, and capacity building milestones have been achieved. The mission of the biofortified sorghum effort is to improve rural livelihood and health, especially for women and children who are often more severely impacted by malnutrition, by targeting the most prevalent and severe micronutrient deficiencies. And in order to deliver a biofortified product, the collaboration will also focus attention on sorghum breeding, sustainable seed production and eventually distribution systems in targeted countries in Africa. Connecting the parallel paths of agriculture and nutrition will provide generations with the tools for greater prosperity and health. Bio: Alfredo Delgado of Ricardo, Texas is currently a third year Ph.D. student in the interdisciplinary program of Molecular and Environmental Plants Sciences who is expected to Graduate December 2016. Mr. Delgado has dedicated his academic career to the field of remote sensing. He received his bachelor’s degree from Texas A&M University in 2010. During this time he became involved in remote sensing technologies of Terrestrial Laser Scanning and Ground Penetrating Radar. Alfredo went on to complete his master’s degree in 2013 in Molecular and Environmental Plant Sciences. During this period he completed his thesis titled “Southern Great Plains Expansion of Glyphosate Resistant Brassica napus L.: Management and Mapping”, as well as received certification for both Geographical Information Systems and Remote Sensing. Alfredo is now working toward completing his Ph.D. at Texas A&M University in which his primary focus of study is the application and functionality of Ground Penetrating Radar in agricultural systems. He looks to pursue a career in high throughput plant phenotyping and phenotyping platform development. Abstract: Understanding root traits is an innovative research front for better detection and selection of favorable genotypes. Root and tuber crops having most of their economic potential stored below ground are favorable candidates for such studies. Cassava (manihot esculenta Crantz), a tropical and sub-tropical root crop is a primary source of caloric intake in many regions around the world. Though the utilization of this crop is high, little progress has been made to understand the genotype by environment interactions that regulate productivity. The objective of this research was to determine the capabilities of an innovative remote sensing technology to predict root bulking rates through detection of total biomass across time in an effort to improve cassava root phenomics. Our research provides first insights into the detection of below ground biomass in cassava cropping systems using ground penetrating radar. Through empirical study, allometries were derived to model cassava production over time. The allometric equations derived suggest that a function of GPR data processing is a suitable measure of root biomass (r = .78). The allometry developed accounts for 61 percent of the variability in cassava biomass below ground. When ancillary data such as soil moisture and cassava age are added to the model estimation, the percent variability accounted for rises to 70 percent and 72 percent respectively. When all three parameters are utilized 75 percent of variability can be accounted for. Bio: Sarah Ajayi was born in Dallas, Texas, but grew up in Nigeria. Her B.S. is in Crop Science from Benson Idahosa University. She returned to the USA to get her M.S. in Plant Science at West Texas A&M University. Sarah is currently pursuing a Ph.D. in Agronomy at Texas A&M University. While she was in Nigeria, she had the opportunity to serve as a subject teacher, quality control staff, and intern/research assistant at a high school, food industry, and research institutes, respectively. She was awarded the COALS Excellence Fellowship for her PhD program. Her goal is to contribute in sustainable crop production under various agro-climatic conditions and stresses, with the help of recent techniques. Her research interest is on developing relatively simple, inexpensive but rapid selection tools, that plant breeders could utilize to screen huge numbers of genotypes in a relatively short time. Abstract: Wheat (Triticum aestivum L.) production can be enhanced through the development of improved cultivars with wider genetic base, capable of producing higher yield under various agro-climatic conditions, and biotic and abiotic stresses. Monitoring wheat performance during the growing season will provide information on productivity in terms of the yield potential. However, conventional methods are time-consuming, labor-intensive and can cause large sampling errors. Remote sensing tools have provided easy and quick measurements of leaf area index and aboveground biomass, without destructive sampling. The objective of this study was to evaluate genetic variability in growth and performance of twenty wheat genotypes under two water regimes (rainfed and irrigated conditions), using spectral vegetation indices (SVI) estimated from aerial imagery and GreenSeeker® sensor, and percent ground cover (%GC) estimated from digital photos. Field experiments were conducted at the Texas A&M AgriLife Research and Extension Center in Bushland, TX during the 2014-2015 winter wheat growing season. Data was collected and analyzed at three growth stages, after-emergence, tillering and late-jointing. Results showed that a significant variation exists among the genotypes for all the estimated parameters at tillering and late-jointing stages. Significant relationships (R2: 46-95%) between the estimated parameters (SVI and %GC) indicate that they could be used as an indirect selection tool for screening large number of early-generation lines and advanced wheat genotypes. Overall, this study illustrated the potential use of remote sensing techniques by breeders for high-throughput phenotyping of wheat genotypes to screen for high-yielding genotypes. Bio: Nicholas Ace Pugh is from Oklahoma City and got a B.S. in Biology from the University of Central Oklahoma. 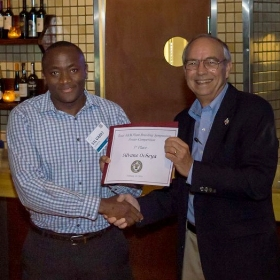 After doing an internship with Dr. Dorothy Shippen at Texas A&M, he decided to apply there for his graduate career. He originally came from a molecular biology background, but he was exposed to plant breeding for the first time when he participated in Dr. Seth Murray’s summer internship as a student worker before beginning his graduate career. He received his M.S. in Plant Breeding with Dr. William Rooney last year, and is now a first year Ph.D. student. His Master of Science work was primarily concerned with determining whether or not sorghum could be improved for popping quality. One of his hopes for his career going forward is to meet the urgent need to produce improved crops that can address the threat of global climate change and world hunger. Abstract: Popped sorghum (Sorghum bicolor, L. Moench) is becoming increasingly popular with niche consumers. However, sorghum has not undergone the years of intensive selective breeding that popcorn has. This study measured popping characteristics and grain traits to estimate heritability, the relative effect of environment and genotype x environment interactions on these traits and to identify quantitative trait loci (QTL) for popping quality. Using a heated-air popping methodology, a recombinant inbred line population was phenotyped for popping characteristics in grain from three environments in Texas. Entry-mean heritability of popping efficiency (PE) ranged from 0.595 – 0.755 and the heritability of expansion ratio (ER) ranged from 0.617 – 0.769 across environments. ANOVA indicate that both environment and genotype x environment interactions were significant sources of variation. Using genome sequence mapping technology, five QTL were identified for popping efficiency and four were identified for expansion ratio. Additionally QTL for endosperm color, kernel diameter, kernel weight, and kernel hardness were found, and several of those were consistent across multiple production environments. These results indicate that popping quality a complex quantitative trait in sorghum, but improvement of popping efficiency, expansion ratio, and other kernel characteristics via marker-assisted selection is possible. 1Soil and Crop Science, Texas A&M University, College Station, TX. 77840; 2 Texas A&M AgriLife Research Center in Beaumont, Beaumont, TX.77713.